“History is about loops and continuums” – Mike Bidlo. This post provides a complete guide to the VBA For Loop, the VBA For Each Loop. 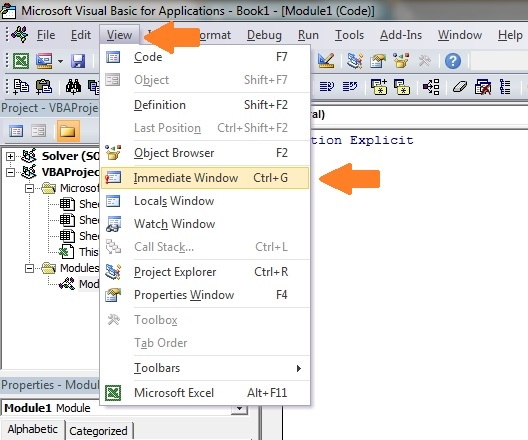 If you are looking for information about the VBA While and VBA Do Loop then go here. If you want some quick info about the For loops then check out the Quick Guide table in the first section. If you are looking for information on a particular topic then check out the Table of Contents below. 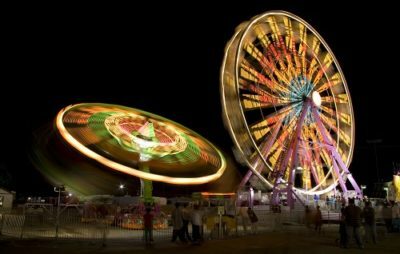 4 What are Loops and Why Do You Need Them? Loops are by far the most powerful component of VBA. They are the rocket fuel of your Macros. They can perform tasks in milliseconds that would take humans hours. They also dramatically reduce the lines of code your applications need. If you have never used loops before then this post is a great place to start. It provides and in-depth guide to loops, written in plain English without the jargon. Let’s start with a very important question – what are loops and why do we need them? What are Loops and Why Do You Need Them? A loop is simply a way of running the same lines of code a number of times. Obviously running the same code over and over would give the same result. So what is important to understand is that the lines of code normally contain a variable that changes slightly each time the loop runs. For example, a loop could write to cell A1, then cell A2, A3 and so on. The slight change each time is the row. The following code prints the values 1 to 5 in the Immediate Window(Ctrl + G to view). If you have not used the Immediate Window before then this section will get you up to speed quickly. Now imagine we want to print out the numbers 1 to 20. We would need to add 15 more lines to the example above. However, using a loop we only need to write Debug.Print once. If we needed print the numbers 1 to 1000 then we only need to change the 20 to 1000. Normally when we write code we would use a variable instead of a number like 20 or 1000. This gives you greater flexibility. It allows you to decide the number of times you wish to run the loop when the code is running. The following example explains this. A common task in Excel is read all the rows with with data. Using a variable in the loop makes your code very flexible. Your will work no matter how many rows there are. Let’s have a look at an example. Imagine you receive a sheet with a list of fruit types and their daily sales. 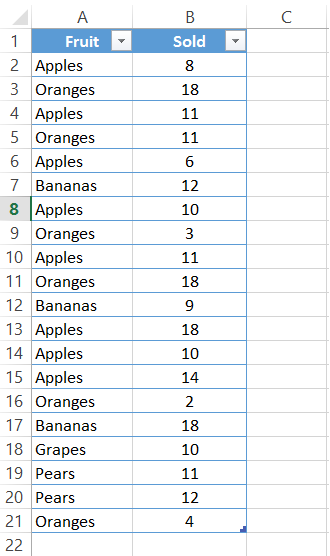 You want to count the number of Oranges sold and this list will vary in size depending on sales.
' Check if cell has text "Orange"
You can try this code for yourself. Change the number of fruit items and you will see that the code still works fine. 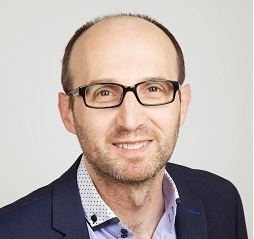 If you were to increase the number fruit items to a large value like 10,000 then you will hardly notice the difference in the time it takes to run – almost instantly. Loops are super fast. This is what makes them so powerful. Imagine performing a manual task on 10,000 cells. It would take a considerable amount of time. In the next sections we will look at the different types of loops and how to use them. 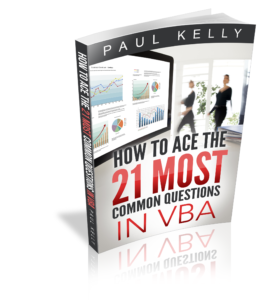 The VBA For loop is the most common loop you will use in Excel VBA. The For Loop is used when you can determine the number of times it will be run. For example, if you want to repeat something twenty times. The start and end values can be variables. Also the variable after Next is optional but it is useful and it makes it clear which for loop it belongs to. The i = i + 1 line is used to add 1 to i and is a common way in programming to update a counter. You can see that i is increased by one each time. This is the default. 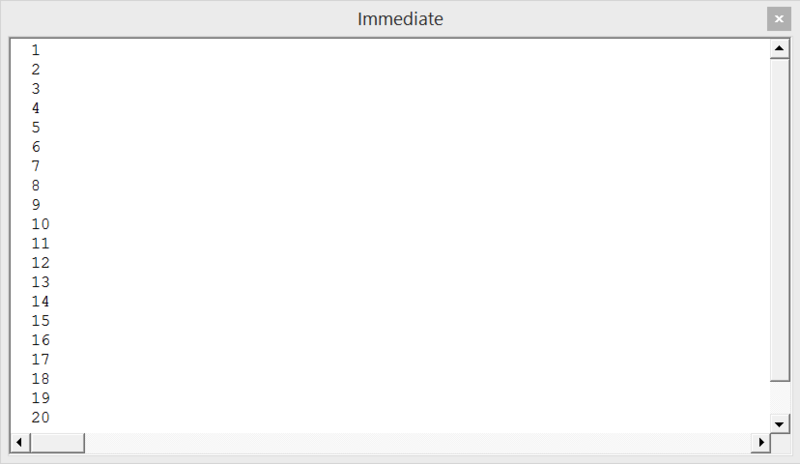 You can specify this interval using Step. Note: if Step is positive then your starting number must be lower than you ending number. The following loop will not run because the starting number 20 is greater than 10. VBA therefore, thinks it has already reached the target value 10. If Step is negative then the start number must be greater than the end number. Sometimes you may want to leave the loop earlier if a certain condition occurs. For example if you read bad data. MsgBox "Blank Cell found - Data error"
The For loop can also be used to read items in a Collection. Sometimes you may want to use a loop within a loop. An example of this would be where you want to print the names of the worksheets of each open workbook. The first loop would go through each workbook. Each time this loop runs it would use a second loop to go through all the worksheets of that workbook. It is actually much easier to do than it sounds. The second loop then uses the workbook at 1 to go through the worksheets. The second loop then uses the workbook at 2 to go through the worksheets. It the next section we will use a For Each loop to perform the same task. You will find the For Each version much easier to read. 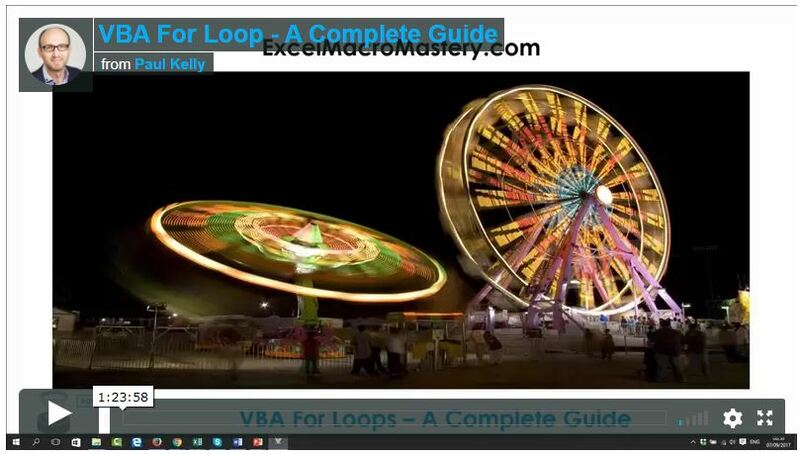 The VBA For Each loop is used to read items from a collection or an array. We can use the For Each loop to access all the open workbooks. This is because Application.Workbooks is a collection of open workbooks. To create a For Each loop we need a variable of the same type that the collection holds. In the example here we created a variable of type Workbook. If the collection has different types of items we can declare the variable as a variant. VBA contains a collection called Sheets. This is a collection of sheets of type Worksheet(normal) and Chart(when you move a chart to be a full sheet). To go through this collection you would declare the variable as a Variant. For Each goes through items in one way only. For example, if you go through all the worksheets in a workbook it will always go through from left to right. If you go through a range it will start at the lowest cell e.g. Range(“A1:A10”) will return A1,A2,A3 etc. This means if you want any other order then you need to use the For loop. Both loops in the following example will read the worksheets from left to right. As you can see the For Each loop is neater to write. However if you want to read the sheets in any other order e.g. right to left then you have to use the for loop. One thing to keep in my is that the For Each loop is that it is read-only when you use it with arrays. In the first loop we try to assign s to “Z”. When happens is that s is now referring the string “Z” and no longer to the item in the array. In the second loop we print out the array and you can see that none of the values have changed. If your Collection is storing Objects the you can change the items using a For Each loop. As you can see this is a neater way of performing this task than using the For Loop. The For loop is slower than the For Each loop. The For loop can go through a selection of items e.g. 5 to 10. The For loop can read items in different orderse.g. 10 to 1. The For loop is not as neat to write as the For Each Loop especially with nested loops. To exit a For loop use Exit For. The For Each loop is faster than the For loop. The For Each loop goes through all items in the collection\array. The For Each loop can go through items in one order only. The For Each loop is neater to write than a For Loop especially for nested loops. To exit a For Each loop use Exit For. I’ve updated the code to correct that error. Yes it would be a better way to write it. Or “While” a condition is met. Same with Do … Loop While. but it seems not to work out well. Can you help me with this? You are assigning the value to the source workbook. Should this not be to the Target_Workbook? e.g. Is there a way to create n for loops without typing manually every loop? No. There is no mechanism for this in VBA. Hello Paul, I want to code a loop that will count each column from a table (eg 16 columns table). Then it should select row with maximum count and activate first cell from the row. Can you help? Please mail me the response. I’m just starting about loops and your site is plentiful of examples, Congratulations. In the “Using Step” example above, what if we have to print from 2 to 20 and, next, from 20 to 2 in the same loop (I mean, to print this: 2, 4, 6, … 20, 20, …, 6, 4, 2)? From my poor knowledge, it will only be possible using 2 concatenated loops. From your experience, it would be possible with a single one? You could write code in the loop to make it happen but would be very messy. I know something about VBA but never used loops. This was great help thanks!! Could I make this macro have a loop? It is a long dataset, it goes through it until a change in a cell and then does a lot of stuff. But then I want it to start again. Could it be possible? Thank you very much in advance for all the information!! Thank you for all the great information above! I have a problem that I am stuggling to figure out. I am looking to update a scatter plot every x amount of minutes to keep up with some data that is being exported into the file from another program. Would a loop be the proper way to do this? Or is there some other function out there I should be looking in to! You can use a loop with the Application.Wait function. This function will pause to code for a specific amount of time. I have the row range, listed below, which repeats several in the column. 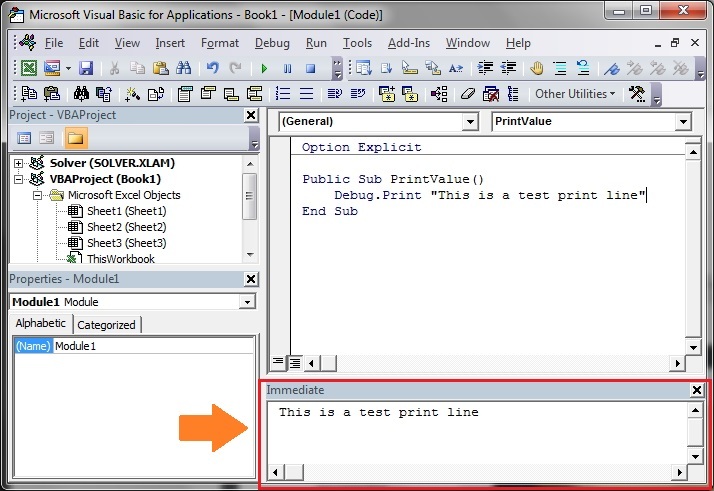 What is the VBA macro code through loop, ideally to exclude this range of lines? You can use an If Statement to check the line. I have a question about a for loop in VBA. Could you please help me? This (see below) code is part of a code that draws in autocad. According to the code the program searchs all cells to see if there is a command or value in de cell. I want to know if there is a way to stop the loop when there is a specific text in de cell. I want to tell VBA to stop the Loop when this (\\C:myfolder) text is written in a cell. I have been looking for a while, if you could take a look at it and help me it would be wonderful. Thanks in advance! ‘Loop through all the rows of the sheet that contain commands. ‘Check if there is at least on command in each row. ‘Create a string that incorporates all the commands that exist in each row.